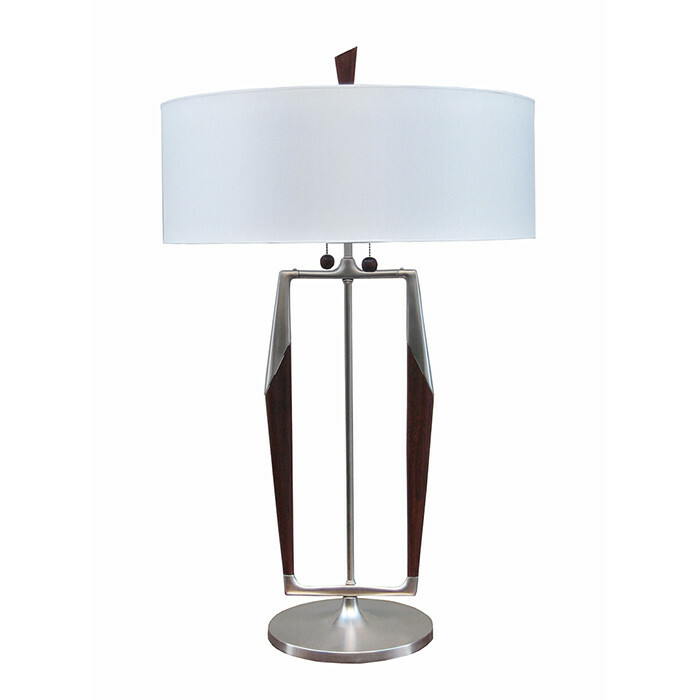 A Gerald Thurston designed Modernist table lamp. Brushed Nickel with lacquered wood details and Original lamp shade with diffuser re-covered. Dimensions: H Including Finial:36 Shade Diameter: 22 Inches.